New RX Radio Child and Young Reporters recording their stories in studio. 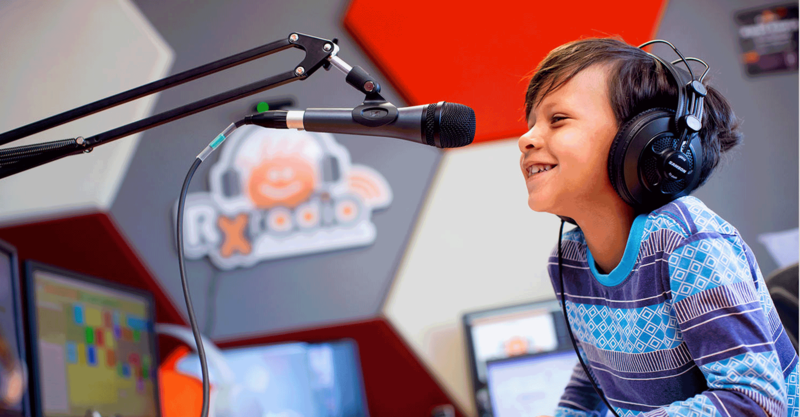 During the Easter holidays, RX Radio held its fifth basic training with a new group of aspiring Child and Young Reporters. Eleven children were trained from the 3rd to the 7th of April where they learnt the basics of radio and story-telling. For the five days, the children practiced using voice recorders, telling their own stories and interviewing friends and families. 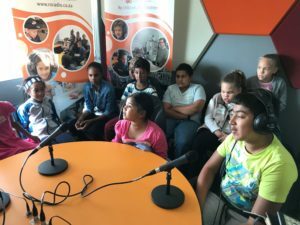 Every training, the children attending RX Radio basic training are expected to produce a radio diary – a five minute story where the children can talk about their own experiences and interview people that are close to them. 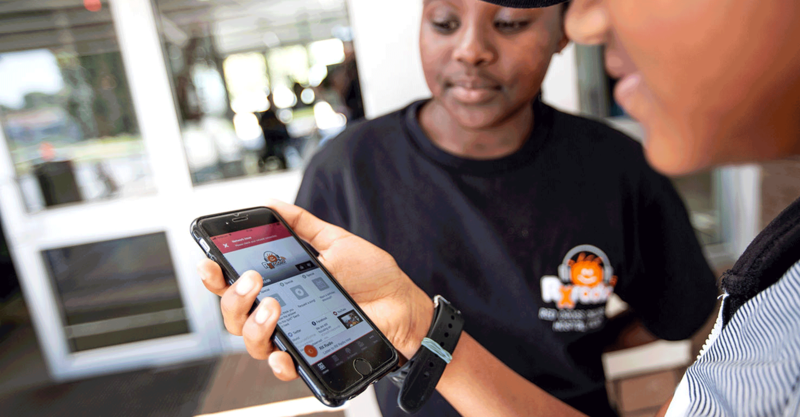 For the majority of the children, this means talking about their experiences with chronic illnesses or their experiences with having siblings attend Red Cross Children’s Hospital. For others, this means expressing their own stories about any topic they wish. 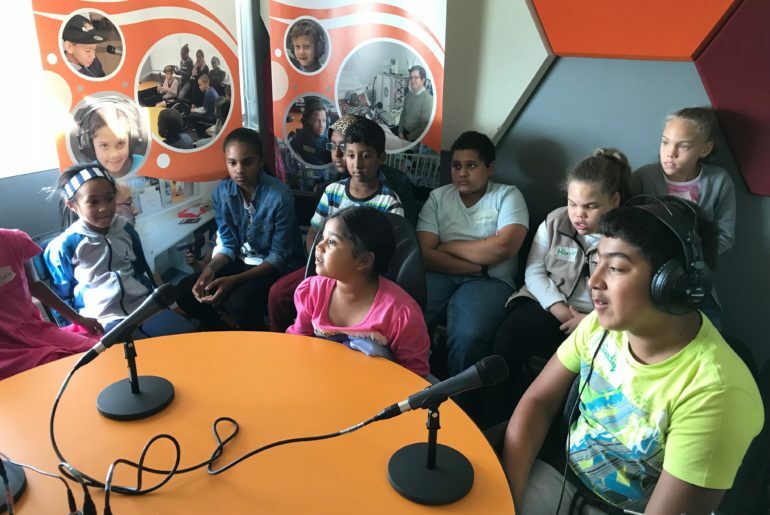 A new element was also added to this April basic training for the first time: experienced RX Radio Young Reporters were asked to help facilitate the training – thus sharing their knowledge and experience with the new children. 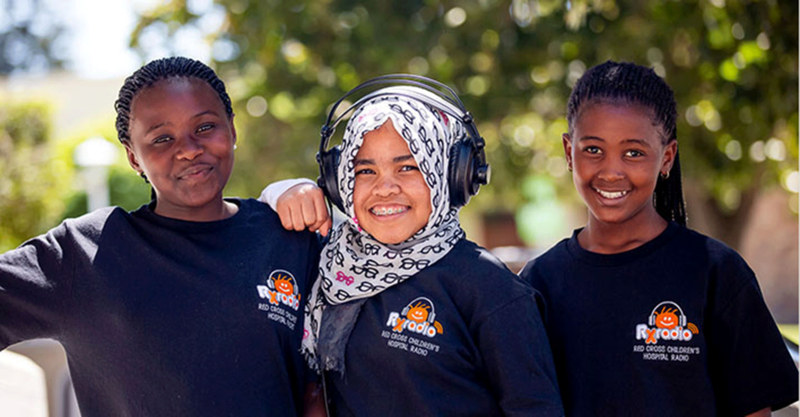 Amirah, Qaqamba and Alex were all involved with facilitating different activities in the training and guiding the children to become future RX Radio Child and Young Reporters. This transfer of skills through facilitation was very successful as both the new children and the experienced RX Radio Young Reporters learnt a lot from each other. 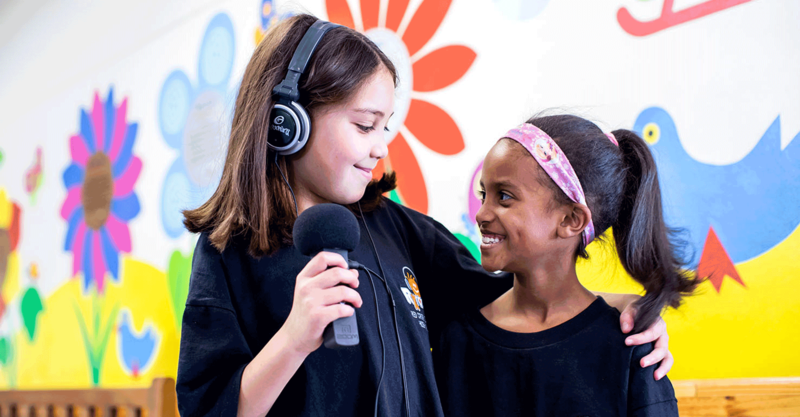 All eleven of the children’s radio diaries are currently undergoing final edits and will be available on our website in the near future – so keep an eye out for some captivating stories coming your way!